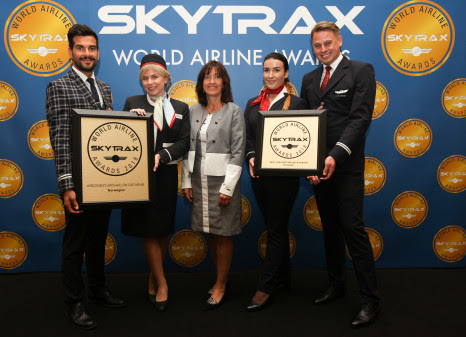 The ‘World’s Best Low-Cost Long-Haul Airline’ and ‘Best Low-Cost Airline in Europe’ awards were won by Norwegian at the prestigious Skytrax World Airline Awards held in London today. The Skytrax 2018 World Airline Awards, celebrating its 18th year, are independent and impartial and represent the leading international airline rating system as voted for by the travelling public, and Norwegian was once again recognised by providing outstanding service combined with a high-quality product while operating one of the youngest fleets in the aviation industry. The airline has won the award for ‘World’s Best Low-Cost Long-Haul Airline’ for the fourth consecutive year and the ‘Best Low-Cost Airline in Europe’ for the sixth year in a row. 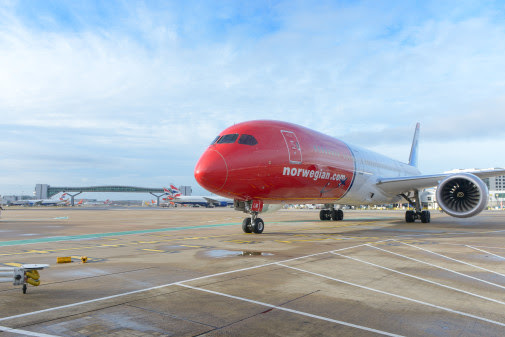 Edward Plaisted of Skytrax said: "Norwegian has been a top customer favourite in the World Airline Awards over the last 6 years, being successful not only in keeping ahead of its low-cost rivals in the survey but also improving its position amongst full-service carrier ratings. This is a truly excellent achievement for an airline that is still undergoing rapid expansion." Norwegian’s Chief Communications Officer, Anne-Sissel Skånvik, accepted the awards accompanied by Norwegian cabin crew Agne Zupkaite, Francesco Sapuppo, Marcin Krzywicki, Nancy Lily Wheeler at The Langham Hotel in central London.